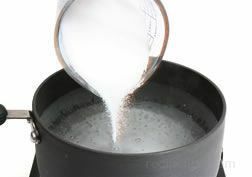 A product taken from the breast muscle of the turkey and processed in various ways for professional and consumer use. 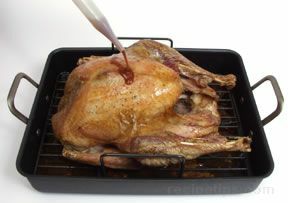 The turkey breast is all white meat, very low in fat, and high in protein. It is available fresh, frozen, fully cooked, skinned, skinless, bone-in, boneless, whole, halved, and filleted. 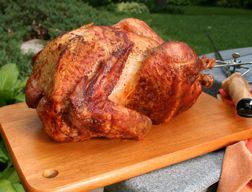 Some of the products produced from turkey breasts are: uncooked breasts, fresh or frozen, that are available whole, in halves and fillets; whole or half breasts that are available oven roasted, glazed, and stuffed, in flavors ranging from rotisserie, barbecue, honey cured, and hickory smoked; and deli meats in bulk form or sliced, which are oven roasted, honey cured, or smoked. 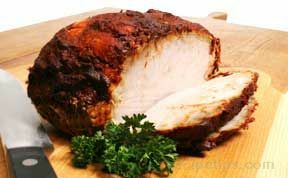 Turkey breast can be served as an entree or it can be used on sandwiches, in salads, or served as an appetizer.